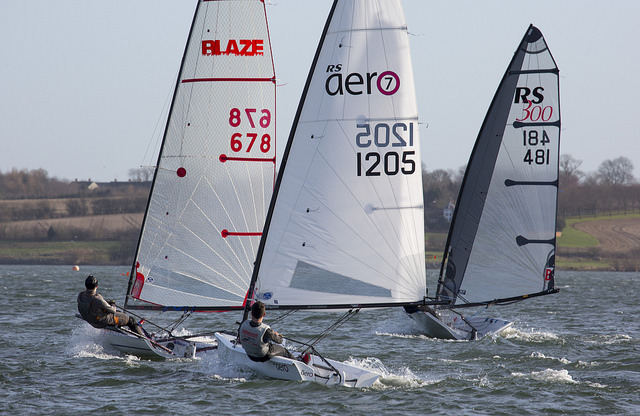 Five RS Aeros from around the country gathered at Northampton Sailing Club on Saturday to compete in the prestigious Steve Nicholson Trophy, part of the GJW Direct SailJuice Winter Series and Round 4 of the RS Aero Winter Series. 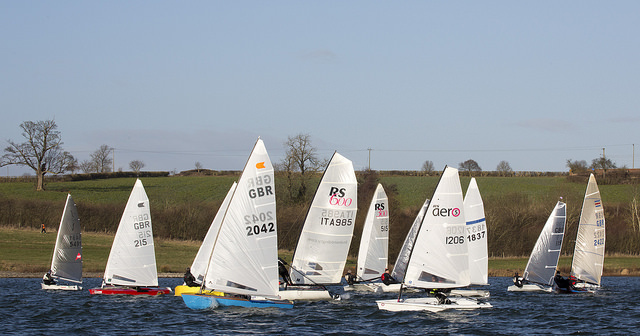 With the wind blowing across the lake the sailors were greeted with very blustery conditions, but with sunshine to warm things up a bit. 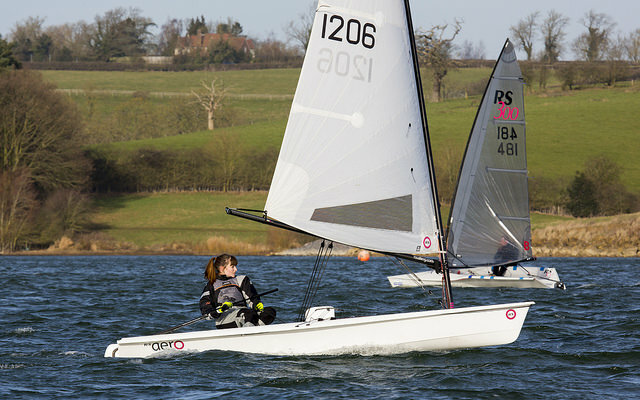 The RS Aero sailors, of which three were in their 9 rigs, one in a 7 and one in a 5, joined 80 other single handers for two ‘round the cans’ races with a lunch break to warm up in the middle. 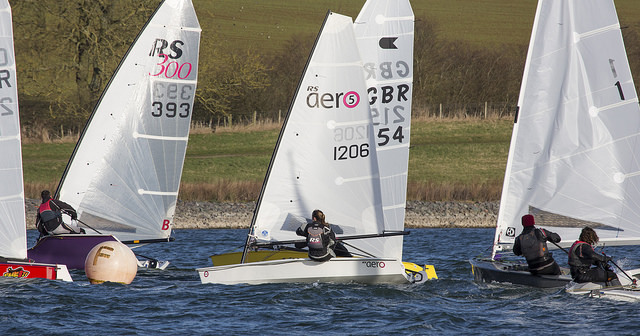 Plenty of nip and tuck racing and interclass friendly rivalry was had, and the RS Aero sailors gathered at the end excitedly sharing their stories from the day, and the highs and lows of their racing. 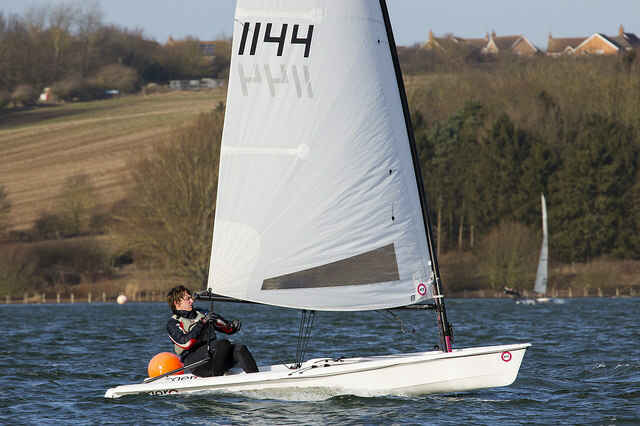 "With it being my second outing in the Aero and my first time rigging it from scratch, I was a little concerned when we turned up with the double stacker on the back 50 minutes before the start gun was due to go to find all the other sailors were already in their drysuits with sails up. I soon realised that the rumours were true – the Aero really is that easy to put together! We had the boats off the trailer, had entered, changed, sailed out to the start line and were waiting patiently for the start gun to go in 50 minutes flat. Granted we owe some credit to our exceptionally friendly fellow Aero sailors who rushed to come and greet us on our arrival (and perhaps help a little too!)." Congratulations to all the RS Aeros for completing both races in some testing conditions. 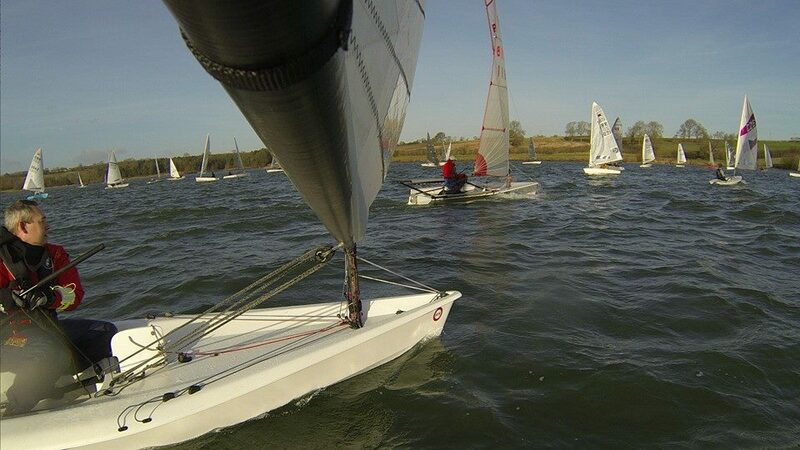 Photos thanks to and copyright of Tim Olin/SailRacer.